Back in an earlier post I mentioned that there was only one house left listed in Lakewood(447 Walnut). Actually there was another home still listed that we have discussed earlier(26 Chestnut Circle). That home is still listed and available at a price of $189,900(first picture). This is a 3 bedroom 2.5 bath home on 1.20 acres with some lake frontage. These owners are motivated to sell this in order to buy a larger home in the area. There are two new listings at Lakewood that I want to discuss here, however neither of these are waterfront. 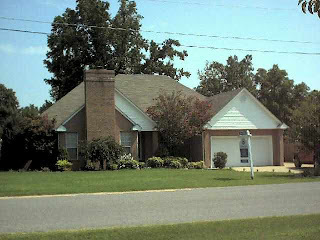 Just listed is 10 Juniper Circle(second picture) which is a 3 bedroom 2 bath home on 1.24 acres. It has an attached 2 car garage, 1750' of living area and was built in 1999.From 9' ceilings,jet tub,dining room and many other amenities and only priced at $166,900, this home will sell quickly. Also just listed is 460 OakRidge Road Ext(last-small picture). This 3 bedroom 2.5 bath home has an attached 2 car garage and living area of 2567'. This home sits on 1.25 acres and has features including hardwood, walk in pantry, corner fireplace, partial walk-out basement, jet tub , sunroom and workshop in basement. 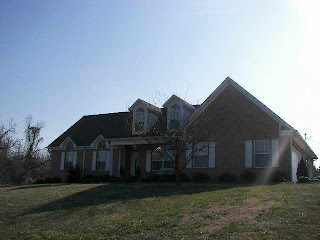 This home was built in 1998 and is priced at $199,900.